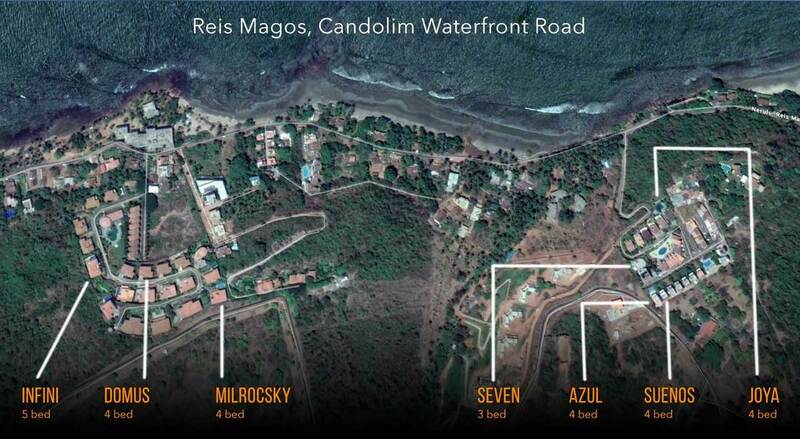 MilrocSky is an ocean front villa within a community of celebrity residential properties overlooking the beautiful Coco Beach in Reis Magos very close to Candolim. With fabulous interiors across the air con living / dining and 4 ensuite bedrooms encompass a giant pool table attached with an infinity swimming pool. Fully furnished and quite lavish, the villa has it's own private media room and sitout deck area. 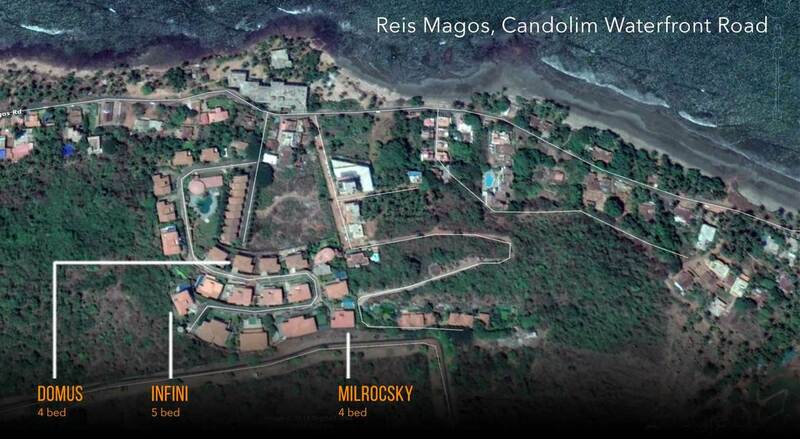 Welcome to The MilrocSky Villa, a luxurious four bedroom spanning approx 6500 sq ft of magical landscape, overlooking the beautiful Coco beach in the prestigious location of Reis Magos a new development very close to the popular Candolim beach in North Goa. The villa is set within residential estate which sprawls over 7 acres of land with charming bungalows and Terrace Villas with ample security, manned by trained personnel. The arena is set up on a hill which is approximately 117 ft. above sea level and provides stunning sunrise/ sunset views. You can order in from a nearby restaurant, they deliver to the villa. For home made stuff without the effort, we can help hire a private cook for you, who will discuss the daily menu, get fresh ingredients on your behalf and cook up tasty dishes. Our resident caretaker will assist you also with daily maid service. - 2 car parking, staff quarter with bathroom. 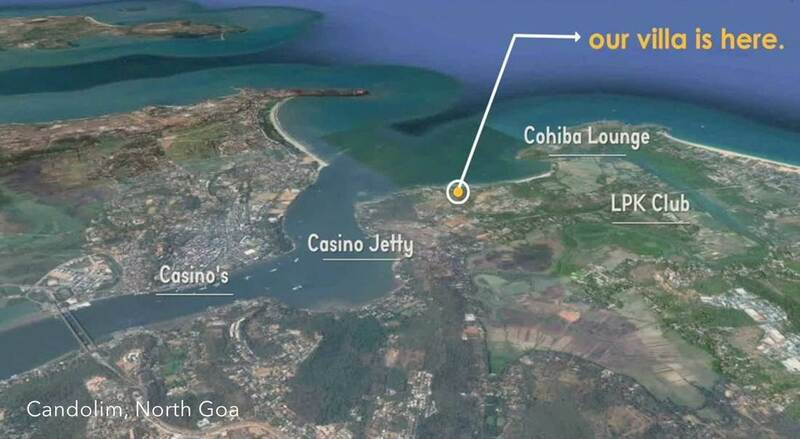 The society which houses this beautiful property has a lot of celebrities and prominent industrialists as neighbors. Hence the society has set in place varied measures to ensure convenience and security for all concerned. Security checks at the entry gates is mandatory, we request you to keep your identification handy. Enjoy music within reasonable volume, and constrain yourself to indoor music beyond 10 pm. Hired vehicles can be collected and delivered at the entry gates due to security concerns.